With this year’s Oscars now behind us, what better time to throw in our lot and offer some predictions for next year’s winners? While the last few years have suggested that the Academy may be moving in a more progressive direction, with legitimate masterpieces like Moonlight seeing off more conventional Oscar bait, the 2019 awards, dogged by controversy, seemed to revert to type with Green Book and Bohemian Rhapsody walking away the big winners of the night. If this year was unpredictable, then surely all bets are off for the next round of awards. Whether you’re looking for a dark horse or two to tell your friends about or an idea of which films will be heading the race, here’s our rundown of the most likely candidates for Oscars 2020. By their nature, the best actor nominations are tough to call, though our money’s on Meryl Streep received her customary nomination for her supporting role in Little Women. Indeed, Greta Gerwig’s adaptation of the classic nineteenth-century novel is likely to clean up big, with Streep’s co-star and rising talent Florence Pugh likely to take the supporting actress gong for her role as Amy March. Similarly, Saoirse Ronan and Timothée Chalamet will almost certainly be nominated for Best Actress and Best Supporting Actor as the romantic players in the Civil War era tale. 2019 will grace us with Terrence Malick’s ninth film, Radegund, a drama set during the second world war. Though the director’s best work may well be behind him, the arrival of a new Malick film always causes a stir among the awards crowd, so we can expect at least a nomination for this one. Similarly, Jordan Peele’s follow-up to Get Out – who some believed should have taken the gong for Best Picture in 2017 – doppelgänger horror Us, is likely to get a nod. 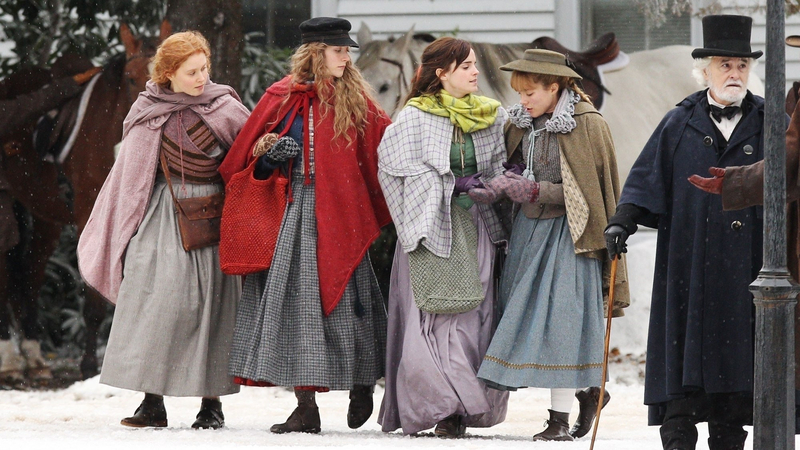 A strong contender to walk away with the statuette, however, is Greta Gerwig’s Little Women. The eight film adaptation of Louisa May Alcott’s beloved novel, this family drama set during the American Civil War is like catnip for Academy voters. Meanwhile, Gerwig, hot from her success with last year’s Lady Bird, will bring a fresh take likely to win over younger crowds and those calling for more films directed by women. Little Women’s high chance of scoring big puts Gerwig ahead as a candidate for Best Director, though she will be up against some stiff competition, as Terrence Malick, Jordan Peele are both likely to score nominations. Quentin Tarantino will also be a contender with his Once Upon a Time in Hollywood, as will Pedro Almodóvar should his Pain and Glory be met with high notices and decent exposure. Less likely outliers could include Pablo Larraín for Ema, or The Witch director Robert Eggers for The Lighthouse. Roma was rightly among the favourites to take the big gong at this year’s awards, but with the esteemed Academy once again proving itself to honestly recognise films with subtitles, relegating Alfonso Cuarón’s masterpiece to the runner’s up prize of best foreign language film. Sadly, this meant that Hirokazu Kore-eda’s peerless Shoplifters was bumped, which would surely have won had Roma not taken the top spot. However, this potentially puts the Japanese director to take next year’s foreign picture gong for his upcoming The Truth, especially given the pull of international stars Catherine Deneuve, Ethan Hawke and Juliette Binoche. Other contenders include Pedro Almodóvar’s Pain and Glory, the beloved Spanish director’s 21st film, Pablo Larraín’s Ema, and Swedish director Roy Andersson’s About Endlessness. Andersson has previously submitted four films to the Academy, but has yet to be nominated, whereas Almodóvar has won two Oscars, for All About My Mother and Talk to Her. Quentin Tarantino’s writing almost always receives plaudits come awards season, so his tale of show business set during the Manson Family murders puts Once Upon a Time in Hollywood ahead as a contender for Best Original Screenplay. Meanwhile, should Jordan Peele’s Us miss out on Best Director and Best Film (likely), he may well clean up with a Best Original Screenplay instead. Similarly, while many were surprised at possession horror’s Hereditary absence at this year’s ceremony, the Academy may well compensate writer-director Ari Aster with a nomination here for his festival horror flick Midsommar. Look out, too, for Taika Waititi and his screenplay for Jojo Rabbit, which is all but guaranteed to be a hit with audiences and critics, and whose writing chops for Hunt for the Wilderpeople and Thor: Ragnarok have already earned him numerous accolades. Greta Gerwig is an obvious shoe-in for her adaptation of Little Women, while still licking their wound from Best Popular Film category, the Academy may wish to give a sop to blockbusters in this category. JJ Abrams and Chris Terrio’s screenplay for the still-untitled ninth instalment in the Star Wars saga may well receive recognition, while a more left of field choice could come from Anna Boden and Ryan Fleck’s script for their glass ceiling-busting Captain Marvel.